Its a general rule for parents that you’ll find anyway possible to make your child happy, to get them to laugh, especially when you’re out in public or stuck in a car. Although most people don’t see their iPhone as an entertainment tool for their infant, as a father of a 10 month old, I can tell you that a select handful of apps have saved me from a crying little girl and kept her entertained for how long I needed her to, and saved my sanity. The current cream of the crop for me! 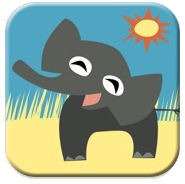 Peekaboo Wild from Night & Day Studios, Inc offers up a fun, colorful educational delight. It gives your child the chance to learn the sounds and names of some of the animals of the wild, including elephant, lion, and hippo in either English or Spanish. Offering colorful images and animation, along with animal sounds and the name of the animal, my little girl already knows how to use this app all on her own, and gets mad when the animals all are sleeping at the end. At $1.99, it has been worth every penny! 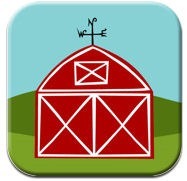 The app that started it all, at least for me, also comes from Night & Day Studios, and offers the same fun, education and entertainment that Peekaboo Wild offers, only this covers farm animals, including a cow and a horse. And once you’ve gone through all the animals with your child, how can you not smile when you hear the little girl say “wooooster”. Also at $1.99. 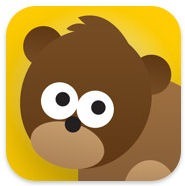 eliasZoo comes from the same vein as Peekaboo Barn and Peekaboo Wild in that it covers animals, their names and sounds. What eliasZOO offers though is 22 brightly colored animals that your child can poke at to hear the name and the sound they make. My little girl loves this one just as much as the others, and it gives her a different group of animals that she can learn, see and hear. (Plus, I never knew what sound a Unicorn made until I got this app). $1.99. Both these apps come from Duck Duck Moose, along with Wheels on the Bus. These apps take full advantage of the iPhone’s touch screen, allowing your child to explore each page of these colorful musical books. Being able to play and sing along with your child makes this app a fun little moment to have with each other. Although not as simple as the apps previously listed in terms of controls, my little girl still loves sitting in my lap as I get the book to move forward through the songs. Old MacDonald is $1.99, while Itsy Bitsy Spider only will cost you $.99. Both these apps come from Oceanhouse Media, where they offer up a couple more Dr Seuss inspired apps. The Cat in the Hat and Dr Seuss’s ABCs are musical, interactive versions of the books we loved as children, now on your iPhone for the new tech savvy generation! Like the apps from Duck Duck Moose, these are slightly more advanced for the smaller ones, but still great entertainment as they sit in your lap, and is a great way to introduce them to Dr Seuss in a new and entertaining way. As parents, we’ve all been in a situation where we wish we had that magic wand to make our babies happy. Well they might not quit be that magic wand, but these apps are simple, safe distractions for those times when you need it! Do you or your child have a favorite app? Any suggestions or input? 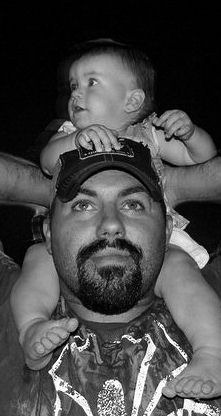 Feel free to leave any comments, as my little bug will be getting bigger and needing new ways to be entertained very soon I’m sure.